Literary Lindsey: It's Monday and summer is here! It's Monday and summer is here! Hello gals and guys! Tuesday was my son's last day of school, so we've been taking the rest of this week easy. I was prepared for everyone to sleep in on Saturday morning until we got an early morning tornado warning. There is nothing like starting your morning at 6:30 a.m. scrunched up with your kids between a wall and a stairwell. I'm not reading anything this second since I'm trying to get ready for a work trip on Wednesday. Once I'm on the plane though, I will have plenty to choose from. I'm packing The Jane Austen Project, News of the World, Daring To Drive, and The Women in the Castle. Any suggestions for which book I should start with? I really want to read Almost Sisters... I'll have to bump it up to the top of my TBR- but I have so many other books to get through! Almost Sisters sounds very intriguing. I hope you enjoy your books this week! News of the World, I say. It's got everything a good story should have, and it's about the right length for a trip. I like the idea of dropping everything and just reading. I hope to do that soon. Come see my week here. Happy reading! I'm reading News of the World right now, but I'm only about 30 pages in. So far, I'm intrigued! It's a short book, but I'm not flying through it. I mention that depending on the length of your flight - could be too short or could be just right! 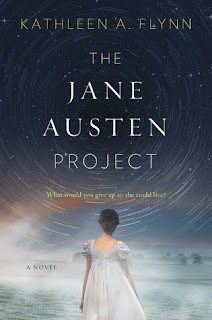 I have had my eye on The Jane Austen Project. Will be interested to hear your thoughts. I'm curious about Daring to Drive, I think I'll have to look for that one! 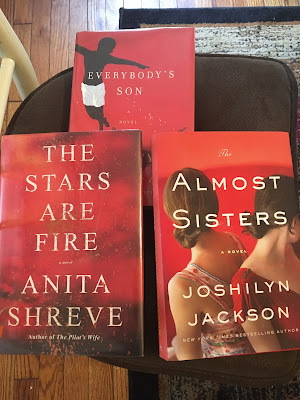 I am looking forward to reading more about Almost Sisters. Have a great trip. Wow, great reading last week - funny that they all had red covers! lol I LOVED Everybody's Son - I reviewed it for Shelf Awareness. Such a good book. I really enjoyed The Women in the Castle & got to meet & spend time with the author in May! Enjoy your trip - I love reading time on planes - there's nothing else to get in your way or distract you! I like your selection of books. Nice. 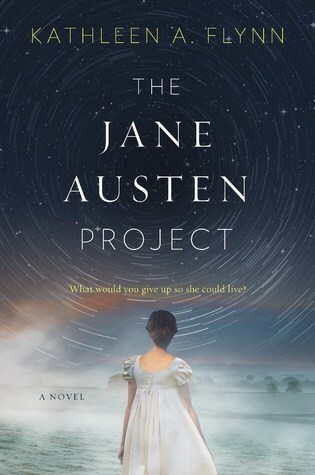 I reserved The Jane Austen project from my library. I'm really looking forward to reading it. 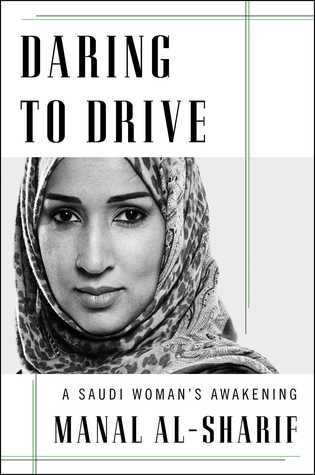 It sounds like a great book. It's Monday in a very noisy house! 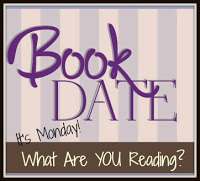 It's Monday and I read three books this week! It's Monday and we had a great weekend!